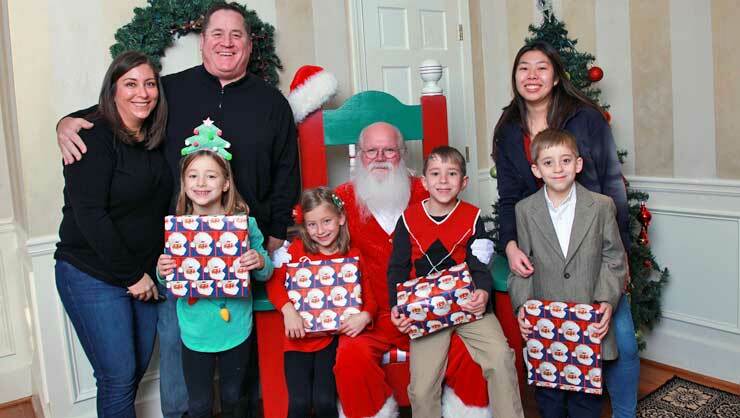 The Flynn family and their au pair Karime are a match made in heaven. The Flynn family, of Atlanta, Georgia, isn’t your average American household. 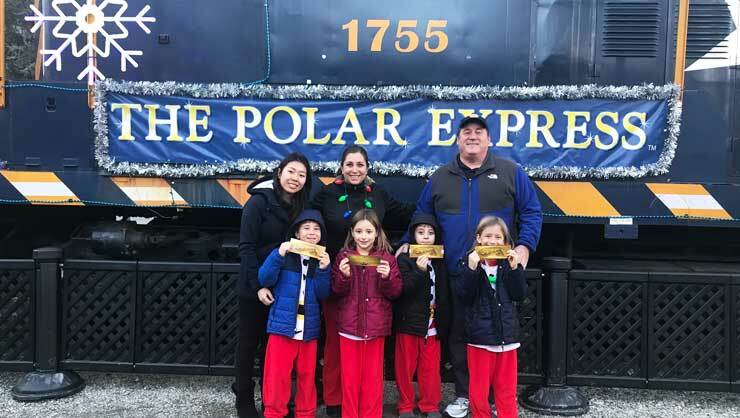 With 7-year-old quadruplets, a golden retriever, and parents Allison and Dan working full-time, the Flynns were struggling to make life run smoothly on a daily basis. Fortunately, Allison and Dan decided to welcome au pair Karime, from Brazil, into their home to help them create a new normal. Since arriving, Karime has proven to be organized, adventurous, and a trusted member of the family. Host mom Allison shares her story with us below. 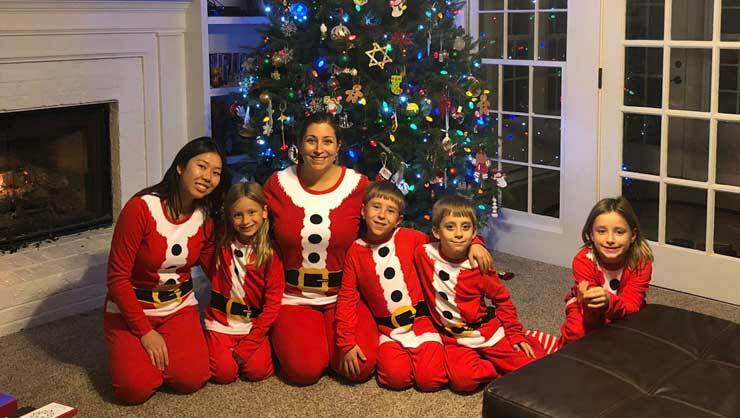 We decided to get an au pair to simplify life, and with 7-year-old quadruplets, that is no easy task! Before having an au pair, we were running in different directions, often late. We were juggling full-time careers, getting the children on the bus in the morning and picking them up from after-school activities, keeping the house neat and organized and trying to ensure the kids kept up with their school work. It was all an additional full-time job. We knew there had to be a better way to manage… enter Karime. 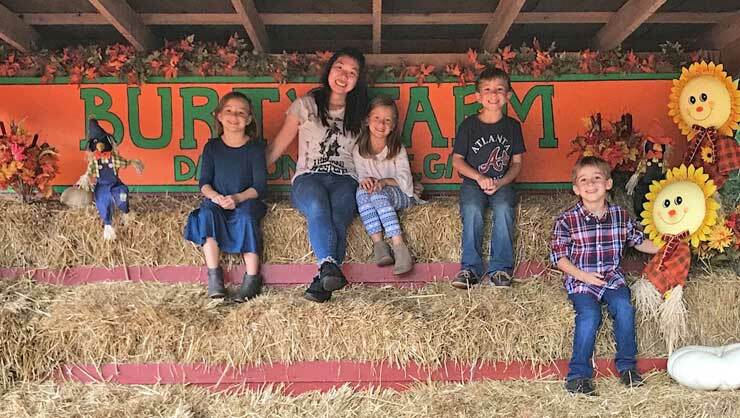 Au pair Karime and her host kids have shared a ton of adventures. Karime joined our family five months ago and has been an integral part of Team Flynn. We love that Karime is an explorer- she made friends quickly and experienced more in her first few months than we have in years! From hiking and visiting movie sets to enjoying historical local sites and Six Flags, she’s really taking it all in. She also fully embraced the holiday season with our family including the pumpkin patch, her first Thanksgiving, a holiday light festival, The Polar Express ride, and Christmas with our family. Nothing says Christmas like matching pajamas! Karime is really an extension of our family. She keeps the children to the same standard of expectation that we do. She ensures they clean up after themselves, complete their homework, and read daily. She even finds time to get them outside for walks, riding bikes, enjoying the park or the lake or building Legos and coloring. I love that Karime goes with the flow when needed, but also appreciates my obsessive scheduling (usually a month out) which allows her the freedom to explore! When we sit down to family dinners, the kids always argue over whose turn it is to sit next to Karime. Yep, I'd say they love her! The kids have learned how to make delicious Brazillian sweet treats and our family has enjoyed Brazilian meals she's cooked for us. 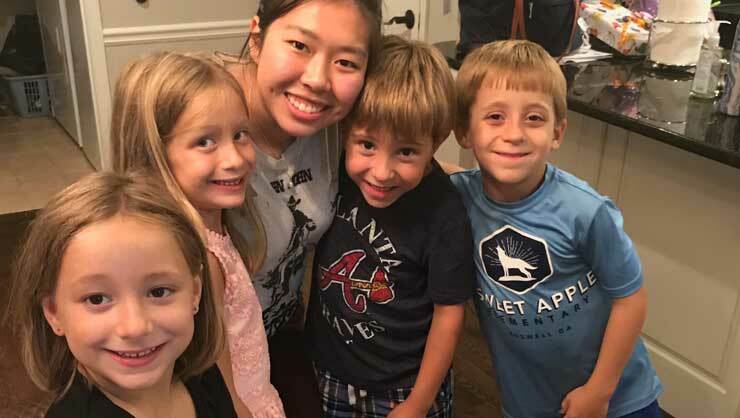 The love between Karime and her host kids brings a smile to everyone's face. After hosting Karime for several months, I have a few pieces of advice for au pairs and host parents to help them fully embrace their time together. 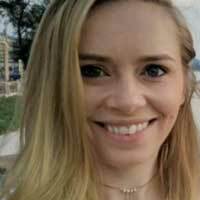 My advice for au pairs is to be open to new experiences and try things outside of your comfort zone, just like Karime has. When you arrive, if someone asks you to coffee, a movie, or an event, GO! You never know what fun opportunities will present themselves. Just be open and willing. Host families, treat your au pair how you would like your own child to be treated if they became an au pair. Be thoughtful, organized and clear about expectations Also, never forget to say thank you, it goes a long way. As a host parent, embrace your au pair as a part of your family. I’ll end by saying, as crazy as it is to think that adding another person under our roof would make life simpler, it truly has!